Is Webtalk the Future of Relationship Management & Networking? 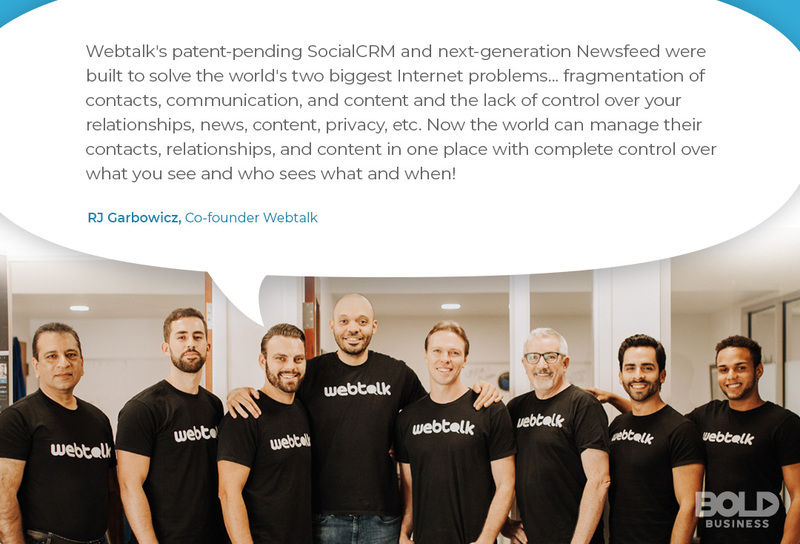 Is Webtalk the Future of Relationship Management & Social Networking? 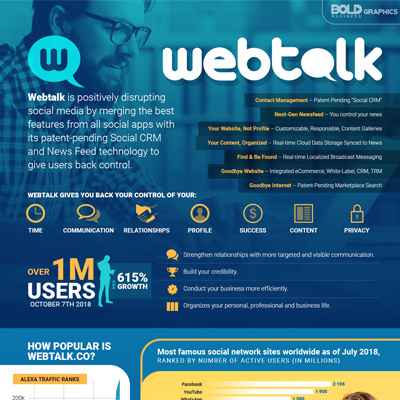 Webtalk, an all-in-one free networking, collaboration, contact management, and cloud data storage app, just recently announced its latest rankings in a survey of the top sites around the world. It’s now in the top 42k globally and in the top 10k in the U.S. The platform provides a new revolutionary way to do relationship management and is the brainchild of the Co-Founder and CEO RJ Garbowicz. The rankings are expected to become even better in the coming months. As of October 7, the site has amassed a total of more than a million users, 5.3 million page views and 75 million monthly engagements. It is growing at over 600 percent monthly. With the influx of tens of thousands of people joining Webtalk every day, people are now asking if it could one day replace Facebook or Linkedin. The former recently suffered yet another security hack impacting 50 million accounts. Favorable reviews are also helping the site draw more attention. Founders Rj Garbowicz and Jeff Catherell put in the first-round seed funding for Webtalk at $200,000. A lead investor provided an angel funding of $750,000 that financed a test launch. It is now earning revenue through advertising as well as in-app purchases. In total, Webtalk announced that the company has raised more than $3.5MM from undisclosed investors since inception, which has been matched by the founders and principals of the company in both cash and salary investments. Friendster, MySpace, and Orkut were just some of the social media sites that caved in after LinkedIn and Facebook dominated social media. Users considered both sites to be reliable and easy to use. However, Webtalk has ruffled the status quo and has generated much talk since its beta launching. Established in December 2011, Webtalk pivoted in 2015 to focus more on professional and business services. Webtalk is a startup software technology that offers online relationship management utilities including professional and social networking. 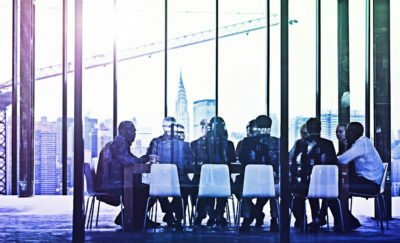 It is a unique platform that allows people to connect with their colleagues, friends, acquaintances as well as business associates. According to RJ Garbowicz, he developed the web application because he wanted to create a difference in the internet industry. 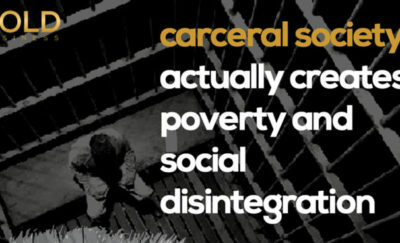 It means unraveling real problems with work and life organization, relationship management and fragmentation in people’s lives, and giving them back control of their communication, contacts, and content. 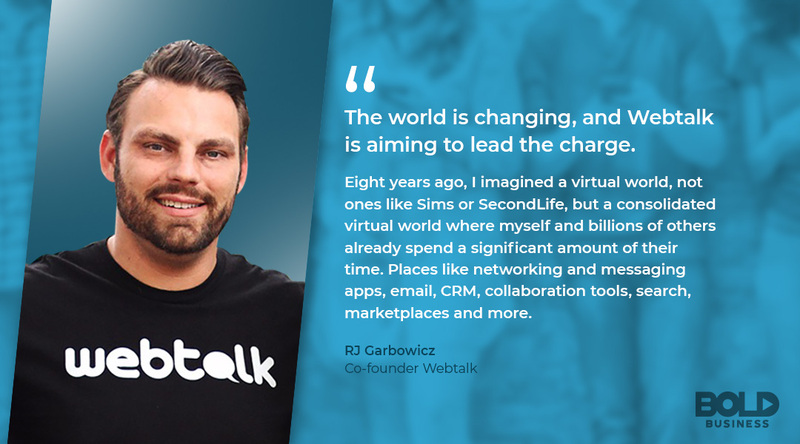 Webtalk, as RJ Garbowicz puts it, “is the smartest way to manage relationships, and the smartest way to earn money with the affiliate opportunity”. The founders of Webtalk put an emphasis on letting people control and manage their lives. Some social media platforms have compromised the privacy and safety of millions of people. Webtalk is putting that behind and is giving people a fresh perspective on managing online relationships, whether it’s personal or business in nature. That said, with so many social networks that have been built, how is Webtalk any different? Imagine a site where you type or speak a phrase such as “certified sailing instructor” and instantly a list of certified instructors, training companies, and training products appear. What sets them apart is that they are all recommended by people you know and trust. It also works with purchasing products, booking services, and hiring trained contractors in one place. That is what Webtalk is creating—a way to segregate professional and personal connections, and categorize them based on relationship value. How is Webtalk Organized for Relationship Management? The website has a patent-pending labeling feature built into its connection process that offers superior segmentation of relationships. The labeling feature segregates and categorizes the user’s connections using a built-in network, group and subgroup filters for distributing communication and content. What this means is that your colleagues will not see what’s going on in your personal life if you choose to share content-only with your friends. Likewise, your friends won’t have to know about your latest projects at work if you don’t want them to. The profile page of Webtalk is as organized as its contact management. With a banner that could be customized anytime, the page also displays the user’s virtual resume-type information. It has different tabs for your media galleries, which include files, photos, and videos. All media uploaded by the users in Webtalk are going to be private by default. It will assure each user the protection of their virtual desktop until they choose to let other people see it. Another exceptional thing about the website is that users can control who can see and access their posts. For all things commercial, Webtalk will soon extend pages for different activities such as celebrities, brands, and businesses. Post to default private group channels and even mark a post as “Confidential”, which removes the sharing functions and stamps the post with a large red “Confidential” stamp that lets your connections know not to share it. Attach any kind of file to your posts like photos, videos, and documents of all types. View posts from the pages you follow, your professional connections, your personal connections and even your private groups using the channel filter. Search your newsfeed with a built-in keyword search feature. Filter your newsfeed by media attachments: all photos feed (like Instagram), all videos feed (like YouTube) and an all documents feed (like Dropbox). Accessing Webtalk anywhere is not going to be a problem because users can also view the website on their mobile phones. Webtalk users can also enjoy sending messages to their connections because of its real-time chat feature. They will, however, require an upgrade to a premium account in order to chat with non-connections. Starting at $20 per month, users will be able to upgrade to the Pro premium service. Within Pro, subscribers can see who viewed their profiles, upload large media files and documents, execute advanced search filters, browse in stealth mode, gain more contact management features, send email newsletters with spotlight posts and more. One of the most exciting things about Webtalkis its SocialCPX, a one-of-a-kind affiliate program software. Providing ease of use, the affiliate marketing software is a lucrative option for more enterprising users. Webtalk will share 50 percent of its revenue to the company’s Beta users for joining early and helping them grow. With all these game-changing features, the promising newcomer in the social media industry has a bullish take on the future. In an ABC News interview with Garbowicz, the founder said he’s certain that Webtalk will be the number one social media website in five years. Now at 2.4 billion social network users worldwide, the industry is expected to experience a 10 percent annual growth. This certainly offers plenty of opportunities for Webtalk to compete.